Samford history department chair and University Historian S. Jonathan Bass has published his second book on the subject of the Civil Rights Movement. He Calls Me By Lightning: The Life of Caliph Washington and the Forgotten Saga of Jim Crow, Southern Justice, and the Death Penalty follows the Pulitzer-nominated Blessed Are the Peacemakers: Martin Luther King Jr., Eight White Religious Leaders, and the “Letter from Birmingham Jail” (2001). 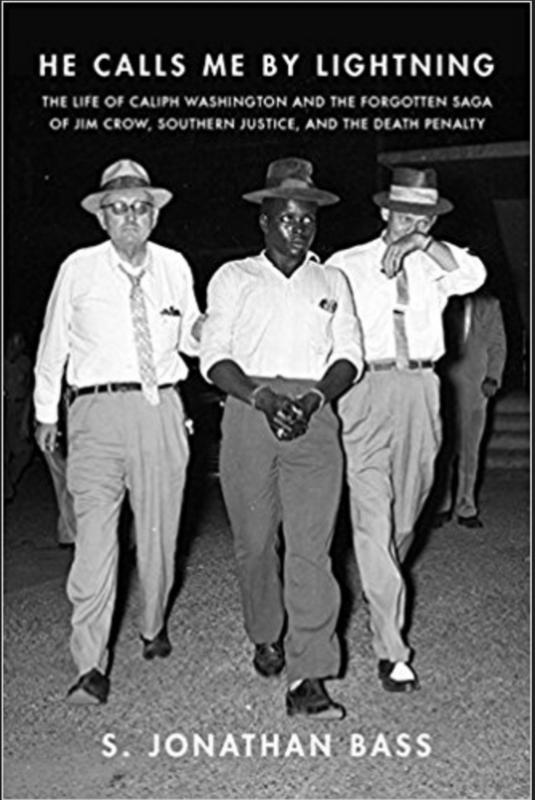 The new book, from the Liveright division of W.W. Norton publishers, explores the long ordeal of Caliph Washington, a black man unjustly convicted of the 1957 murder of police officer James “Cowboy” Clark amidst the reflexive racism of the “Jim Crow” era in Alabama. Washington endured more than a decade of prison, multiple trials, overturned convictions and repeated rescue from the electric chair. Over the course of his ordeal, Washington experienced a spiritual transformation from an angry young man to a humble Christian evangelist who shared his Job-like faith both inside and outside prison. A conversation with Wilson Fallon, a pastor, historian and Bessemer native, provided more fuel to fire the project. Fallon also connected Bass with Christine Washington, the widow who “prayed for many years for someone to come along and tell Caliph Washington’s tale.” She immediately decided that Bass was “that someone,” and Bass realized that “someday” had arrived. Bass found many personal connections to the story of Caliph Washington—a family exodus from Pickens County to the Muscoda Mines, shared union memberships, encounters with Clark and others in orbit around Washington’s case—but never lost sight of the much bigger picture. Bass will take part in several signing events as part of a national marketing campaign for his book.